He is New UrbNet Assistant Professor at Aahrus University. My research interests lie in the archaeology of frontier areas in the Byzantine Empire from the fourth to the ninth century AD. I obtained my PhD at the University of Edinburgh with a research on the history and archaeology of Palmyra in Late Antiquity and the early Islamic period. 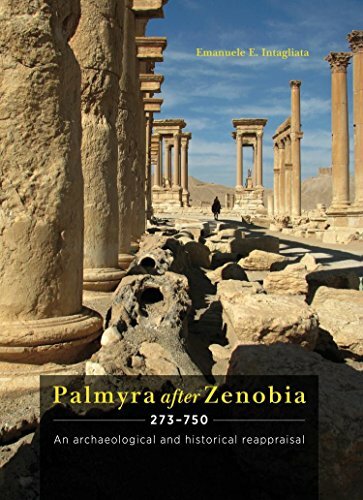 This was later turned into a monograph by Oxbow Books (Palmyra after Zenobia (AD 272–750) : an archaeological and historical reappraisal). I then moved to Koç Üniversitesi, Istanbul, where I started a postdoctoral project funded by the Turkish Research Council (TÜBITAK) on the frontier defensive system of northeast Anatolia in the sixth century AD. Before moving to UrbNet, I have taught Roman and Byzantine Archaeology at the University of Edinburgh. My research at UrbNet aims to illuminate the link between urban transformation and urban networks taking as a case studies cities in eastern Black Sea regions. I am also interested in exploring the level of permeability of the Caucasus to imported goods in the sixth to ninth centuries AD and understand the role that the eastern Black Sea played in the maritime trade of that time.